Jaysen Wright and Danny Gavigan in The Importance of Being Earnest at Everyman. Photo Credit: ClintonBPhotography. 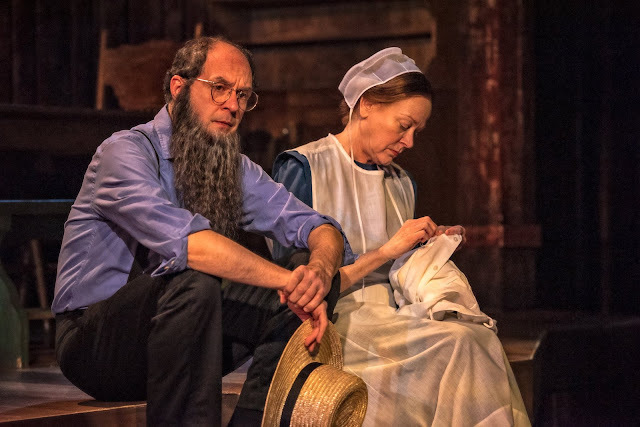 That was certainly not the case in the newest production now playing at Everyman Theatre. The plot revolves around Jack Worthing and Algernon Moncrieff's attempts to escape the obligations of society. Deceptions proliferate and are exposed, people fall in love, and, spoiler, everything turns out all right in the end. Danny Gavigan as Algernon has a perfect understanding of the complete selfishness found in a young man wanting to live life to the fullest extent. His presence is comical and enticing. Complimenting Gavigan’s upper-class crustiness with a delightful approach as Jack is Jaysen Wright, one loyal to his ward Cecily (played with vivid innocence by Paige Hernandez) and in love with the fair Gwendolen (delightfully portrayed by Katie Kleiger). Wright’s especially humorous dressed in the mournful black attire created by the adored Baltimore costume designer David Burdick as he discusses ‘Ernest’s’ death from a ‘severe chill’ only shortly before ‘Uncle Jack’ arrives in the person of Algernon. 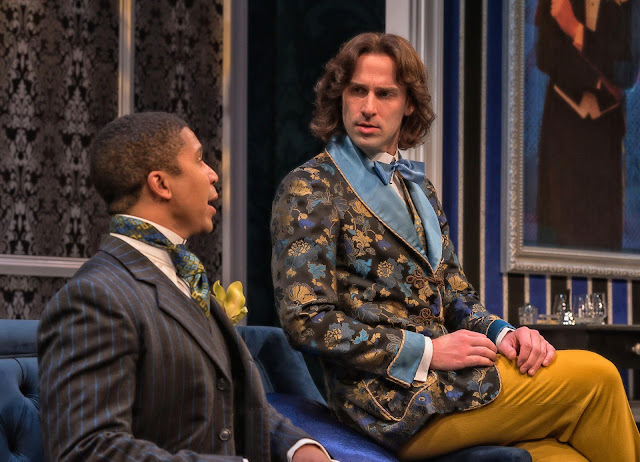 There are some differences with this production, however: such as Bruce Randolph Nelson, who emerges in a wig, dress, and heels to play Lady Bracknell. 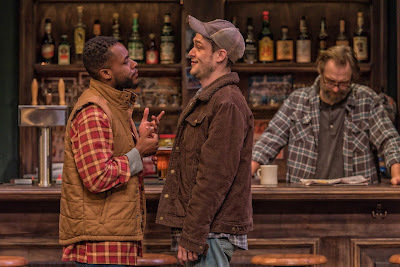 While at first, I thought of Nelson’s performance as distracting, once the production gets into its swing, the play takes over and the sometimes extraneous carry-on from the man in heels melts away. The Importance of Being Earnest situates itself in a tough balance between absurdly satirical moments and moments of relatable pragmatism. To go too over the top with the characters, the audience loses the ability to empathize with them. On the flip side, if the characters are too realistic, you lose much of the great comedic elements within the play. This complication is handled seamlessly by director Joseph W. Ritsch to create a very strong production.